Dr. Luella Churchwell practices all aspects of medical and surgical dermatology. She takes pride in listening to her patients to help solve their dermatological issues. After graduating from Vanderbilt University with a B.S. in Molecular Biology she received her medical degree from the University of Tennessee. She then completed three years of internal medicine residency at the University of Tennessee and continued on to complete three years of dermatology residency at the University of Tennessee. She was chief resident her third year. She is board certified by the American Academy of Dermatology and the American Board of Internal Medicine. 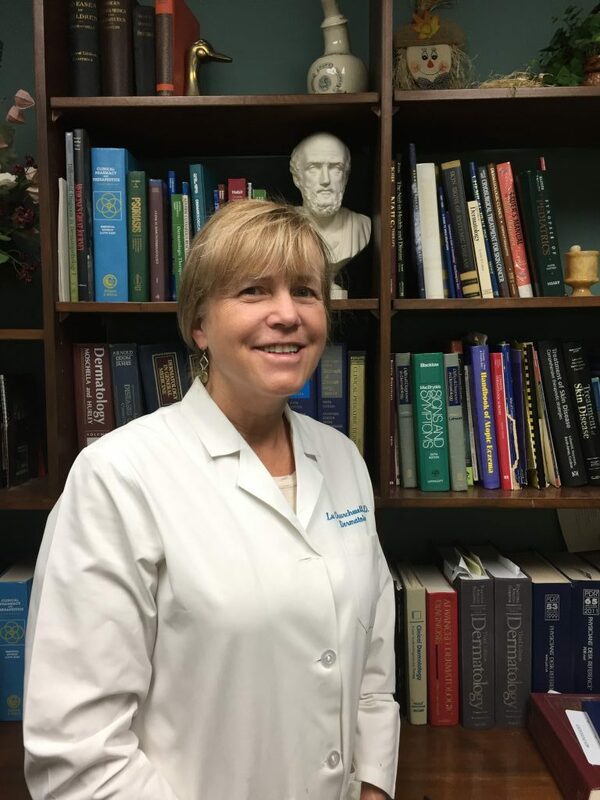 Dr. Churchwell is a fellow of the American Academy of Dermatology and a member of the Tennessee Dermatology Society and American Medical Association. Part of her dermatology awards and honors include a research grant from the National Alopecia Areata Foundation and a travel fellowship from the British Association of Dermatologists to a dermatology meeting in Bournemouth, England, for a presentation of her research. She was also awarded a scholorship to attend the 18th World Congress of Dermatology meeting for a research presentation. Dr. Churchwell is married to Dr. Schneider and they have two children. She is a sister to Dr. Mary Ashley Churchwell and has two other sisters in Memphis who practice pediatric dentistry together. Her extracurricular interests include tennis, sailing, basketball and racquetball. She also enjoys attending sporting events. She is also an avid reader and enjoys lifelong learning and spending time with family.